Just over 48 hours after announcing that the Isotopes will play four games this season as the Mariachis de Nuevo México, Isotopes Retail Operations Director Kara Hayes has fielded orders from over 35 states and three countries. Hats, jerseys and t-shirts are flying off the shelves to go along with over 300 online orders that have already been placed. "It's been so exciting to see the incredible response not only from the New Mexico community, but all across the country," said Isotopes General Manager John Traub. "From social media, to online orders, to the excitement around the ballpark and to a spike in ticket sales; the Mariachis de Nuevo México aren't just a home run, they're a grand slam." 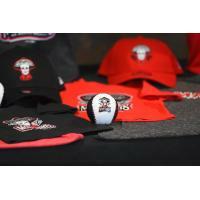 To get your Mariachis merchandise, head to the Isotopes Park Pro Shop or abqisotopes.com. The "Mariachis 4-Pack" ticket package is now available online at abqisotopes.com and at the Isotopes Park Box Office. The $56 4-Pack features a Box Level ticket to each of the four Mariachis-themed games. Isotopes Introduce "New Mexico 3-Pack"